A picture allegedly showing the Nokia Normandy Android prototype continues to be released online on Chinese social networking Weibo (via WPCentral), with user WPDang stating that the rumored Android phone doesn’t have Nokia branding on the back and front, like a previous image leak from @evleaks recommended. The Nokia Normandy should be the very first Android phone from the organization, even though the Finnish smartphone maker is stated to fork Android in the same way as Amazon.com does using its Amazon Kindle Fire OS. However, the interface from the system is blurred within the image below. The cell phone isn’t likely to offer accessibility Google Play Store or to become a flagship device. 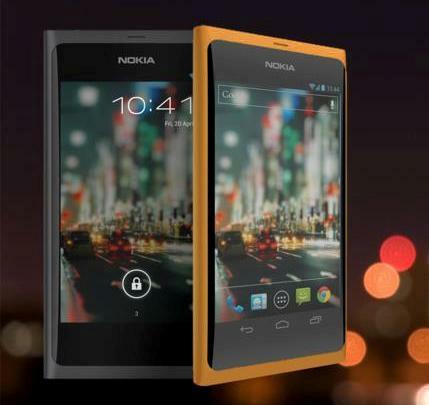 Rather it’ll likely address the reduced-finish smartphone market alongside Nokia’s Asha products running Series 40 OS. Hardware particulars for that Normandy aren’t offered at this time around, however the image indicates the phone may have dual SIM abilities and have just one capacitive button. Despite the fact that there has been a couple of gossips and reviews around the Normandy, including these image leaks, it isn’t obvious whether Nokia will really launch an Android phone, considering the imminent Microsoft purchase of their mobile division.